Certainly not all headaches can be broken down to a single cause, but one of the most important - and most often missed - areas of involvement is the neck. Dysfunction in the neck often develops from the simple the stresses of daily life: posture, accidents, mental stress, sleeping incorrectly, etc. Eventually, the muscles, nerves, and joints of the neck will develop problems. 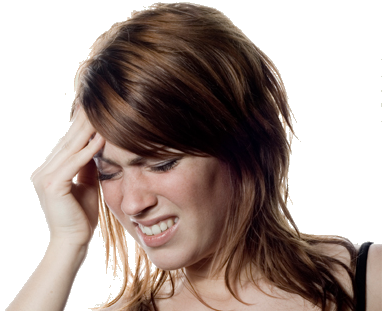 Headaches are a common occurrance once issues have degenerated far enough to cause symptoms.